Connect with customers using a smart marketing approach designed specifically to create new opportunities and drive results. TREW Marketing partnered with IEEE GlobalSpec to conduct research on the content, online search and buying preferences of engineering, technical and industrial professionals around the world and across age groups. 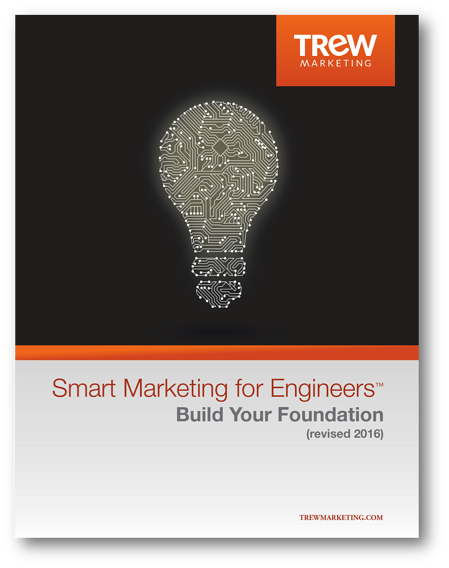 This research provides data to help business, marketing and sales leaders make smart marketing investments. "Over the last several years, we’ve invested in our marketing foundation and shifted our investment from a mostly outbound approach with a heavy focus on trade shows to a more inbound approach focused on web and content marketing. Our company has grown over 50 percent, and, today, the majority of our leads come from online sources." B2B technology marketers have unique needs and challenges, but you're in luck - it's what we at TREW do best! Twice a week, we publish informative, thoughtful posts about the world of technical B2B marketing. Subscribe today and never miss a new post.